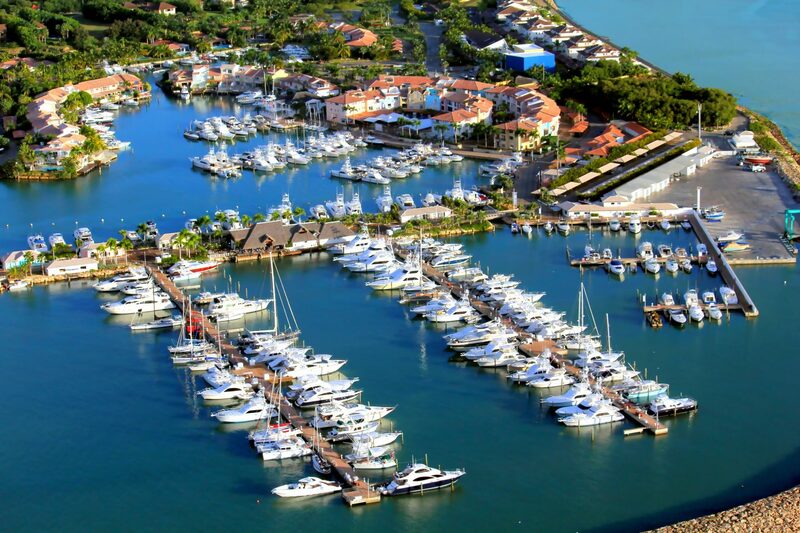 Located with the Casa de Campo Resort, Marina Casa de Campo is a private and independent marina fully equipped with unsurpassed modern amenities; La Marina’s area expands over more than 90,000m² and holds 350 slips ranging from 30 to 250ft for private & transient yachts. Single and three phase power supply (110-220-440 volts) water, 2 fuel stations, a shipyard with a travel lift for vessels up to 120 tons, on-site heliport and the international airport 10 minutes away. Onsite customs & immigration service, mooring assistance, and an exclusive yacht club. Four golf courses, shops, restaurants, cinema, supermarkets, car rentals, 24 hours security vigilance, villas, and apartments are some of the amenities that Marina CDC offers. Four golf courses, shops, restaurants, cinema, supermarket, car rentals, villas and apartments, hotel, sporting life, beach, three islands, La Romana Airport 5 minutes from the gate, two internationals airports 50 minutes from the resort, yacht club Altos de Chavon.